Chances are that LA based producer Woodys Produce has worked his magic on a song that was once, or is currently, your musical anthem. Over ..
After nearly a year, Amerigo Gazaway is back with one hell of a project. The masterful producer behind last year's Fela Soul, which married .. Artist Remixed is back to bring you the milky manipulations of your favourite singles. 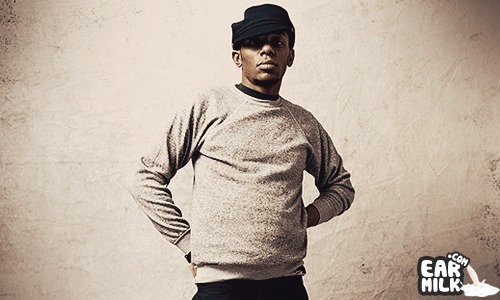 From the increase in bedroom producers there has been ..
Yasiin Bey & Mannie Fresh – "Black Jesus"
Yasiin Bey, a.k.a Mos Def, has a new project in the works with former Cash Money Records producer Mannie Fresh titled OMFGOD or maybe OMFGODBKNOLA. ..
Yasiin Bey x Mannie Fresh – "OMFGOD"
The hip hop wires are buzzing with news of further collaborations between Brooklyn native Yasiin Bey and NOLA fixture, Mannie Fresh. A recent .. Welcome back for this week's edition of Straight No Chase, your one-stop shop source for all things hip-hop here on EARMILK. This comprehensive .. Earlier in the year the Yasiin Bey, the artist formerly known as Mos Def, announced he his Top 40 Underdog project which would feature the veteran wordsmith ..
San Francisco rapper/producer Ayentee has embarked on an ambitious serial project which will feature Frankensteined albums featuring various artists. .. The last we heard from Yasiin Bey (formally Mos Def) was when he dropped "Ni**as in Poorest" which seemed to rub some people the wrong way. ..
Yasiin Bey has just unleased a video for his newer freestyle track called "Niggas in Poorest" where you find him spitting truth over the "Niggas ..
Yasiin Bey (Mos Def) – "N*ggas In Poorest"
To celebrate the Martin Luther King day, the Brooklyn MC Yasiin Bey aka (Mos Def) drops a freestyle over Jay-Z & Kanye West current hit single ..
2012 brings the advent of all those insanely amazing collaborations we saw forming last year. One of them being Mark Ronson working with Erykah ..